Lane Financial Services in Greenville, SC has been growing steadily, providing customized accounting and bookkeeping services. Lane Financial Services combines its experience in traditional financial management with the latest financial developments to offer the best services for our clients. The company is headed by Jim Lane, who has extensive experience in the financial services industry. In today’s complex business landscape, it’s vital to have a knowledgeable financial management partner watching out for your assets and helping you make sound decisions that maximize and protect them. Many have chosen our company as their financial partner due to personal service and excellent results. To ensure you always get our very best, every facet of our service is under the supervision of one of our principals. We work for you year-round, not just at tax time or when you call us. 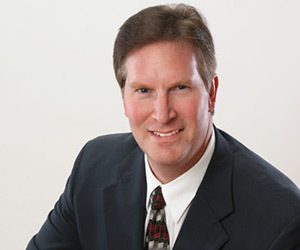 Jim Lane has been in the accounting profession for more than 30 years. Over the years as a controller with several companies in the upstate of South Carolina, he gained considerable experience in finance, accounting, planning, scheduling and training. Having a reputation in management accounting and controllership, Jim heeded the call from small business acquaintances and even former employers to step out on his own to provide accounting services to small business in the upstate of SC. Since 2006, Lane Financial Services has been growing steadily, providing customized accounting, bookkeeping and tax services. Jim has a business administration BS degree from Bob Jones University and a Masters of Accounting degree from Strayer University. Jim is an Enrolled Agent and a member of the National Association of Enrolled Agents. He is an active member of the Institute of Management Accountants and has proudly served as the past President of the Carolinas Council of the IMA, and a current Member of the Greater Greenville chapter of the IMA. We’d be pleased to meet with you or your accounting staff to discuss your business, your specific goals and your requirements. We look forward to learning more about how we can help you! Get in touch with us today.